From 2014 to 2017, Birubi Art sold 18,000 boomerangs, bullroarers, didgeridoos and message stones to tourist outlets. Priced from $9.95, they were sold as cheap souvenirs. Birubi Art labelled the artefacts and their boxes as “genuine Aboriginal Art”, “100% hand painted”, “handcrafted Australian Boomerang” and “Royalties are paid”. The reality was different. The objects were made by artisans in Indonesia; no Australian Aboriginal person was involved; the only cultural connection was that the designs were created by Trisha Mason an aboriginal artist (who received royalties). Enter the consumer regulator, the ACCC. They prosecuted Birubi Art for false and misleading representations, namely: made in Australia and hand painted by an Australian Aboriginal. On 23 October, 2018, the Federal Court declared these representations were false in breach of the Australian Consumer Law. According to Justice Perry, these artefacts must be made in Australia because they are traditional Australian Aboriginal Cultural artefacts. Souvenir sellers and their suppliers may face prosecution for selling fakes if they are sourced overseas. And if the label says ‘hand painted’, then an Aboriginal person must have done or supervised the painting (i.e. have a more active role than to supply the designs). A hearing on penalties and orders to be made against Birubi Art is pending. 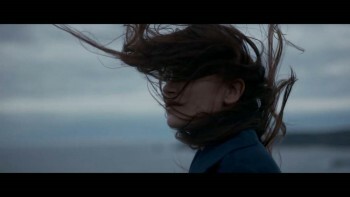 Is the advertising agency to blame if the advertising campaign flops? Picture the scene: You are an advertising agency and your brief is to make a TV Commercial for a shampoo which restores thinning hair. Let's call the brand évolis. You call the campaign "Long Live Hair". Your advertising budget is $2,000,000 over 12 months. It covers TV commercials, digital partnerships, influencers and social media. After just 2 months, the client cancels because product sales have not increased. The client blames the advertising agency for the campaign being a complete flop and refuses to pay. This scenario is taken from a NSW Supreme Court decision last week in which the agency (Ikon) sued and recovered from the client (Advangen) $939,055.65 in unpaid invoices. If an advertising agency makes predictions based on reasonable grounds and if they conduct the advertising campaign as promised in the Media Plan and the Services Agreement, then they are not liable for misleading conduct or for breach of contract. If an advertising agency has the creative work (the TV commercials, etc.) signed off by the client, then it is not responsible if sales targets are not met. The client assumes the risk of failure. The agency is not to blame for the failure of an advertising campaign, and is entitled to receive full payment for the work done. For a more detailed analysis click on my case note Is the advertising agency legally responsible if the campaign is a complete flop? Sugar is now on everyone's lips - at least when it comes to talking about excess sugar content in processed foods. sugar for 1 to 3 year old children (its target market). The sticks were 'jubes' made from highly concentrated fruit juice and vegetable purees. The ACCC argued that it was misleading and deceptive for H.J. 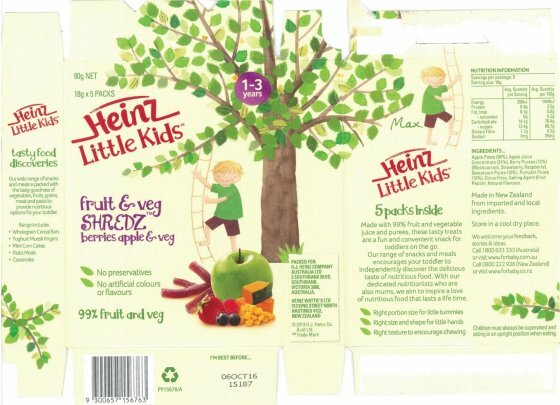 Heinz to give the impression that the Shredz snack food was healthy and nutritious by placing images of smiling children climbing rope ladders into a tree and an apple, pumpkin and other fruit and vegetables on the front label of the packet (see photo), when the Shredz snack food contained too much sugar to be healthy. The Federal Court accepted the link between sugar intake and obesity, and the ‘stickiness’ of the sticks with dental caries. After considering many factors, including that H.J. Heinz ought to have known that the Shredz snack food was unhealthy, the Federal Court imposed a fine of $2.25 million and ordered H.J. Heinz to follow a Compliance Program. Note: Shredz products are no longer on sale. 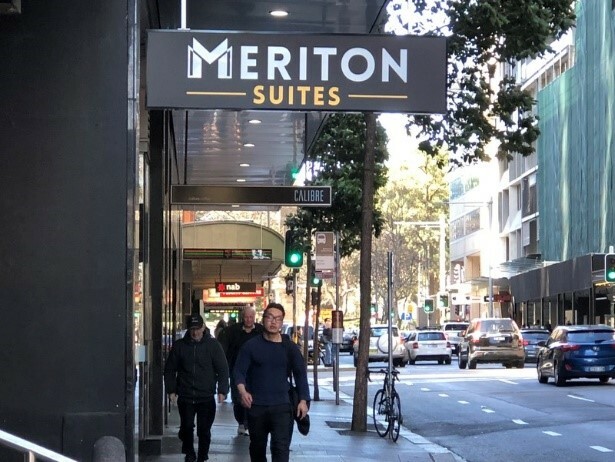 The long arm of the law has caught Meriton Suites and has fined it $3 million for filtering out negative guest reviews, leaving the favourable reviews of its serviced apartments. While Meriton is known as a high rise apartment builder, it has 13 high rise serviced apartment buildings in Sydney, Sydney Surrounds, Brisbane and the Gold Coast. The hotel business is proving to be very successful, with 4 more high rise buildings of what it calls Meriton Suites under construction. By encouraging guests to post reviews on TripAdviser, the world's largest travel website, a hotel can increase its ranking, gain more prominence, and increase bookings. To encourage guest reviews, TripAdvisor provides a service where if a hotel supplies it with the email addresses of its guests and an email template, then it will email the guests and prompt them to write reviews. It is called Review Express. Meriton Suites knows that to prosper in the highly competitive accommodation industry, it needs to encourage favourable reviews. So it adopted a company policy that the check out clerk would ask "Have you enjoyed your stay?" If the response was negative, they would add 'MSA" to the guest's email address before sending it to TripAdvisor, to ensure it would 'bounce'. And if there was a major service disruption, such as lifts not working, they would not send the email address to TripAdvisor at all. The Federal Court has held that this is deceptive conduct, in breach of the Australian Consumer Law. Meriton was ordered to pay a $3 million fine, to not engage in manipulating guest reviews for 3 years and to adopt a strict Compliance Policy. The lesson for Meriton is to say ‘sorry’ and do its best to deal with the complaint. Adding one teaspoon or two of sugar to tea is normal. Adding 40 teaspoons of sugar to a can or energy drink is also normal. But it won't be normal for much longer. Last week, the Federal Court gave a landmark decision that high levels of sugar in food are unhealthy because they lead to weight gain and dental caries. This is the first time this link has been made by the courts in Australia. The decision concerned a Heinz snack food for children aged 1 - 3, called Shredz. The package contained images and words which gave the impression that the food was healthy. There was a young boy climbing a tree, a green apple, strawberries, pumpkin slices and corn kernels. There were statements - 99% fruit and veg, no preservatives and no artificial colours or flavours. The food sticks inside the packet were high in sugar. It was not added sugar, it was sugar concentrate. Specifically, a high proportion was apple which had been mashed and dehydrated so much that the sugar level was 68.7% by weight. One serve had the equivalent of three teaspoons of sugar. The Court heard evidence from expert nutritionists and dentists. It relied upon the World Health Organisation Guideline for sugar intake for adults which for a 2 year old child, the daily limit for added sugar / sugar concentrate is three teaspoons. The Court concluded that the Shredz snack food was unhealthy because a child could be expected to consume more food with added sugar / concentrated sugar during the day, in addition to one serve of Shredz. It was also unhealthy in terms of dental caries because of the high concentration of sugar, and the 'stickiness' of the food sticks. By formally proving the link between sugar and health, particularly in terms of weight gain, the public health consequences of excessive sugar intake have been emphasized. The momentum is building to restrict the use of sugar in food and drink, and to tax sugar (as many countries have already done). Is Nurofen better than Panadol a fact or just misleading marketing? The pain relief market in Australia is lucrative - sales were $580.54 million in the 2015 year in pharmacies, supermarkets, petrol stations and convenience stores. Reckitt the maker of Nurofen and Glaxco the maker of Panadol have 71% of the pain relief market, in approximately equal shares. So it comes as no surprise that Reckitt would want to increase its market share in such a lucrative market. Based on a 1996 clinical study, it started a mass-marketing campaign headlined by NUROFEN IS BETTER THAN PARACETAMOL for common headaches. The overall impression given by the advertising (see the picture), particularly the graph with its bright red line for Nurofen and 4 hour time frame, was that Nurofen delivers faster and more effective relief from pain caused by common headaches than does Panadol or paracetamol. Glaxco was anxious to defend its market share for Panadol. It decided to take legal proceedings to stop the Nurofen marketing campaign, relying upon the argument that the present state of scientific knowledge did not support the claim that Nurofen was better than Panadol for headaches. Glaxco was successful in the Federal Court. The Court ruled that claims that Nurofen is better than Panadol for headaches were misleading advertising. Reckitt will need to find another way to increase its market share! Is it misleading to charge an extra $3 for Voltarin Osteo Gel? Look at the picture and you will see the two types of Voltarin Gel that you can buy at a pharmacy or in a supermarket, both of which are described as good For the temporary relief of local pain and inflammation. Voltarin Emugel is the basic gel, while Voltarin Osteo Gel looks to be superior because this is added to the description associated with mild forms of osteoarthritis of the knees and fingers, and it sells at a higher price - at least $3 higher. Why then is the Australian Consumer Watchdog - the ACCC - is taking the makers, GSK and Novartis, to the Federal Court claiming that they are misleading the public when they claim Voltaren Osteo Gel is superior to Voltaren Emulgel? The reason is simple - both types contain exactly the same ingredient - diclofenac gel 11.6mg/g. 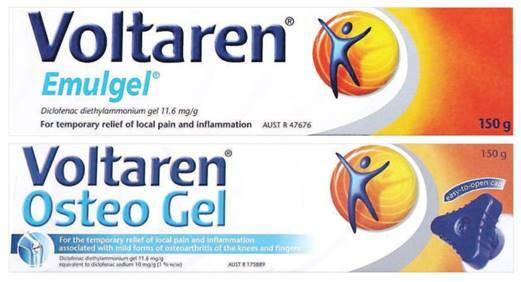 When the ACCC pointed this out to GSK and Novartis, they added on the Voltaren Osteo Gel label Same effective formula as Voltaren Emulgel. They did not remove the added description associated with mild forms of osteoarthritis .... or remove 'Osteo' from the name. GSK and Novartis justify the higher price because the Osteo Gel has a large blue triangular cap (see the picture) which is easier to open for arthritis sufferers than the small grooved round cap on the Emulgel tube. The Federal Court case has only just begun. Watch this space to see whether the Court agrees with the ACCC that the description and the higher price are misleading the public or GSK and Novartis succeed in proving the description and higher price are justified. 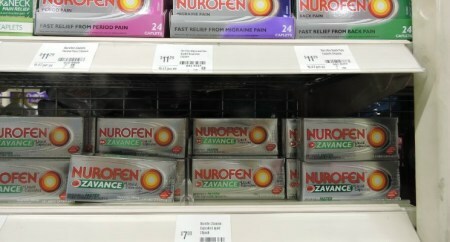 Is a $6 million fine too low for falsely labelling Nurofen packets? To recap, what Reckitt Benckiser did between 2011 and 2015 was to sell the identical pain relief product - Nurofen - in 4 differently labelled packets, at almost twice the price of the standard Nurofen packet - see photo. The Federal Court found that the labels were misleading. The four packets had labels which stated that they were targeted for different pain - one for Migraine Pain, one for Tension Headaches, one for Back Pain and one for Period Pain. In fact, each packet contained the same tablet, and could be taken to relieve any of the pains. The trial judge fined Reckitt Benckiser $1.7 million which the appeal court increased to $6 million. The question is - was the fine still too low considering that sales were about $45 million, with at least $20 million in profit? In other words, is a fine of $6 million high enough to discourage it hapening again, or is it too low and so will it be considered just the cost of doing business? Belatedly, the Australian Competition and Consumer Commission which had asked for the $6 million fine agrees. It now proposes that fines based on profits derived from the offending conduct - as high as 3 times the profits. Too late for the Nurofen case - the horse has bolted! What happens to the seller if the oregano you buy is 50% olive leaf? Dried oregano gives a spicy Mediterranean flavour to tomato, pizza, beans and lamb. It was therefore a matter of great concern when the Australian consumer watchdog, the ACCC, tested packages labelled Oregano, 100% Oregano and pure Oregano and found impurities, mainly olive leaf. While oregano does grow around olive trees, to have 50% of the package consisting of olive leaves is more than just a coincidence! It was proof positive for the ACCC to pursue suppliers and retailers who marketed the oregano for misleading the public. And so it was that the ACCC has punished the oregano suppliers and retailers for not taking precautions to ensure that the oregano they sold was unadulterated. Some were reprimanded after taking action to remedy the misrepresentation, others provided court enforceable undertakings to test the products for 3 years, and Hoyt's Foods was fined $10,800. They were all 'named and shamed' by the ACCC in media releases. Free drinks, free coffee, free samples, free admission ... all these offers use the word free to catch the attention of the customer to sell a service or product. So it was that the online gambling company, Bet365 decided to use the phrase $200 FREE BETS FOR NEW CUSTOMERS on the Opening Page of its website. It was very successful - active users increased by 83% over the previous year and wagering revenues increased fourfold. There was only one problem - when they posted the FREE BETS phrase, they put an asterisk after the word CUSTOMERS*, but did not put a click through button '*Terms & Conditions Apply' underneath. Had they done so, then the new customer have learned that they could only claim $200 in free bets if they staked three times that amount and could withdraw their winnings only if other conditions were satisfied. Bet365 were prosecuted by the Australian Consumer Regulator, the ACCC, because Bet365 had displayed the FREE BETS phrase on its website without the Terms & Conditions click through button for 302 days. The Federal Court found that this was likely to mislead consumers and fined the two Bet365 companies involved a total of $2,750,000 for breaching the Australian Consumer Law. There are two lessons here - for the consumer, there is no such thing as a free bet (or anything else) because terms and conditions apply; and for businesses, to make sure that the terms and conditions which apply to free offers are available to the consumer at the point where the free offer is displayed. Did you know that all Nurofen Specific Pain Range tablets have the same active ingredient? Would you be angry if you were told that despite the label "Migraine Pain' and the distinctive violet packet, the tablet you are buying is exactly the same as the one in in the green packet labelled 'Back Pain' or the burgundy packet "Tension Headache' or the magenta packet 'Period Pain'? The Australian Consumer & Competition Commission became so angry with the makers of Nurofen, Reckitt Benckiser, that last year they prosecuted them for misleading labelling, in breach of the Australian Consumer Law. Last week, the Federal Court ordered Reckitt Benckiser to pay a fine of $1.7 million for its misleading packaging and website. In addition, they were ordered to change their packaging to make it clear that the tablet was suitable for the relief of all kinds of pain. Not Everything Is Fresh Today! Coles Supermarkets position fresh fruit, fresh cut flowers and fresh vegetables at the entrance to give shoppers the impression of entering into a natural oasis where everything is fresh today. As the shopper passes by the fresh produce displays, according to the Coles website they see the “golden baked crust” and smell “tempting aromas” of the fresh bread displays below the “Baked Today, Sold Today” signage at the “Coles Bakery”. Is it any wonder that the shopper believes that the bread displayed was freshly baked on site?